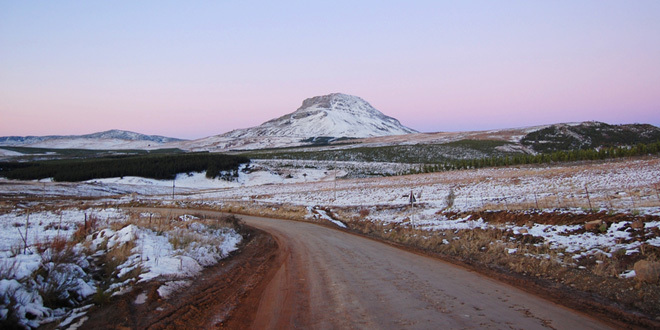 Situated in the Eastern Cape, Katberg and Hogsback is a magnificent oasis in the middle of nowhere. The trip to Katberg is exquisite. Our first stop on the way there is the Nagga farm. Here, some of the tastiest roostekoek, biscuits and juices can be bought. There is a bunny farm where the children like to visit and large open fields ideal for picnicking. En-route to Hogsback we passed through Fort Beaufort. Fort Beaufort is a really small, but beautiful town. It is situated right next to a valley and is rather lush during the rainfall seasons. There is only one traffic Light in the entire town! Hogsback is truly exquisite! It is well known for beautiful tall mountains, lush forests, towering waterfalls and of course, the hogs. Hiking in this area is a must! Popular hikes will take you to spectacular waterfalls and over mountains through lush forests. Hogsback is a little village and therefore ideal for just relaxing and unwinding. There are a few superb stores and farms where beautiful pottery and furniture can be bought. If you visit this area, you just have to buy a decorated hog carved out of mud. The views and scenery in Hogsback are exquisite and the entire village is peaceful. So if you’re feeling stressed and need a getaway in a relaxing, peaceful and beautiful place, choose Hogsback.